Waleed El-Ansary has brought Traditionalism to bear on a new area, Islamic economics, following on E. F. Schumacher's classic application of Traditionalism to economics in general in Small as Beautiful (1973). El-Ansary, who is University Chair of Islamic Studies in the Department of Theology at Xavier University (Cincinnati, Ohio), has contributed a chapter on "Islamic Science and the Critique of Neoclassical Economic Theory" to Karen Hunt-Ahmed's Contemporary Islamic Finance: Innovations, Applications and Best Practices (Hoboken, NJ: Wiley, 2013), pp. 75-101. El-Ansary gives Schumacher and S. H. Nasr as his points of departure, and concludes that the application of divine law to economics not only ensures that spiritual needs are met rather than ignored, but also strengthens such principles such as justice and contract that are essential for free markets to operate in the first place. In 1978, Eddy Batache published Surréalisme et tradition: la pensée d’André Breton jugée selon l’oeuvre de René Guénon (Paris: Éditions Traditionnelles), arguing for Guénon as a major influence on Breton and on Surrealism. Tessel Bauduin has now completed a PhD dissertation, "The occultation of Surrealism: a study of the relationship between Bretonian Surrealism and western esotericism" (University of Amsterdam, 2012), arguing against Batache (amongst other things). Her dissertation may be downloaded from here. Batache, argues Bauduin, built his argument on accumulating similarities between Breton's thought and Traditionalism, and ignored the fundamental incompatibilities between Surrealism, which was of the Left and had no interest in extra-European phenomena, and Traditionalism, which tended towards the Right and was primarily interested in extra-European phenomena. Also, as Breton himself said, Guénon was interested in the mind, not the heart. Yes, Breton was briefly interested in Guénon's work, but he was interested in it in the way that Surrealism in general was interested in esotericism in general and even in spiritism: poetically, as a source of material. 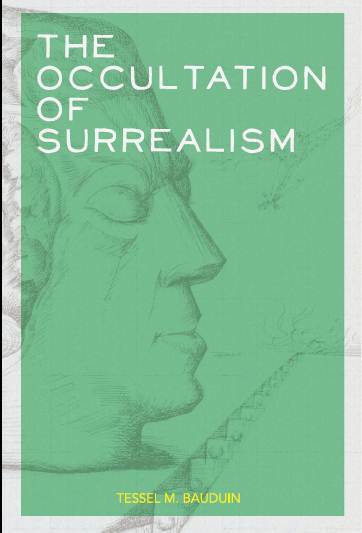 A nicely written and well argued dissertation that makes a real contribution to our understanding of the relationship between art and esotericism in general, and Surrealism and Traditionalism in particular.